I found this image last week while looking for some photos for another post and its just stuck with me. The warm grey tones and minimal styling is just perfect, the more and more I look at it. 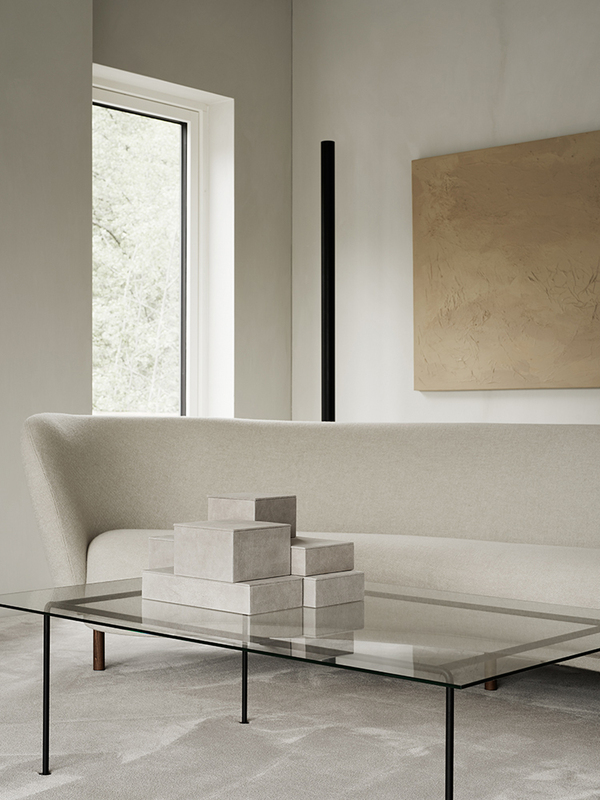 The sofa, by Mass Productions, is called Dandy and the gorgeous velvety rug, suede boxes and glass table are from Annaleena's shop, who also styled the photo shot by Krisfoter Johnsson.